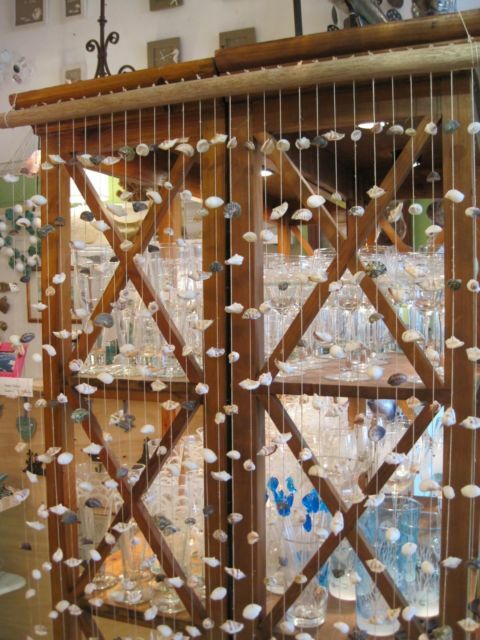 This seashell curtain is a pretty and dramatic piece to hang in a doorway for a total beachy look! 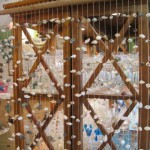 Crafted of genuine seashells, it is strung with 30 strings holding lots of pretty white and colored shells and is hung by a wooden dowel at the top. The strands of shells move easily with a breeze or if you need to walk through it. It measures 6 feet, 5 inches tall, and 32 inches wide. It is perfect to finish off a coastal themed room, or just to add a different feel to the entrance to a room. Also works as a great room divider between roommates!